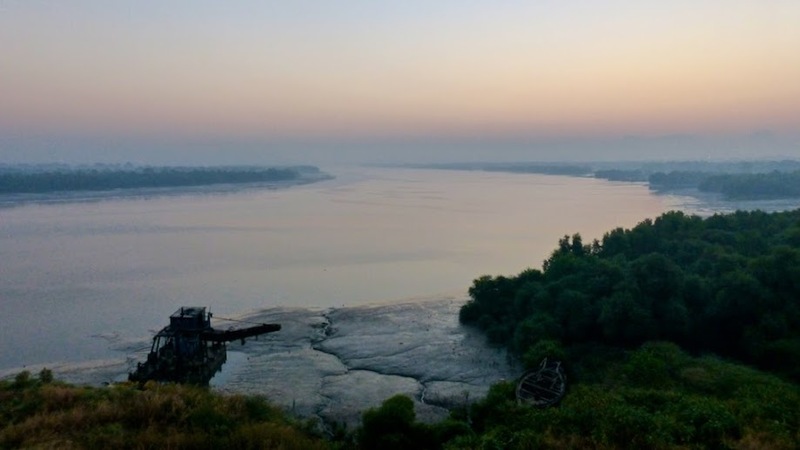 The war started by the capture of Parsik fort, on the Ulhas river, leading to Kalyan. Captain Campbell captured this on 12th April, 1780. Captain Lindrum captured Belapur and Panvel – both these places had reverted to the Marathas after the Treaty of Wadgaon. 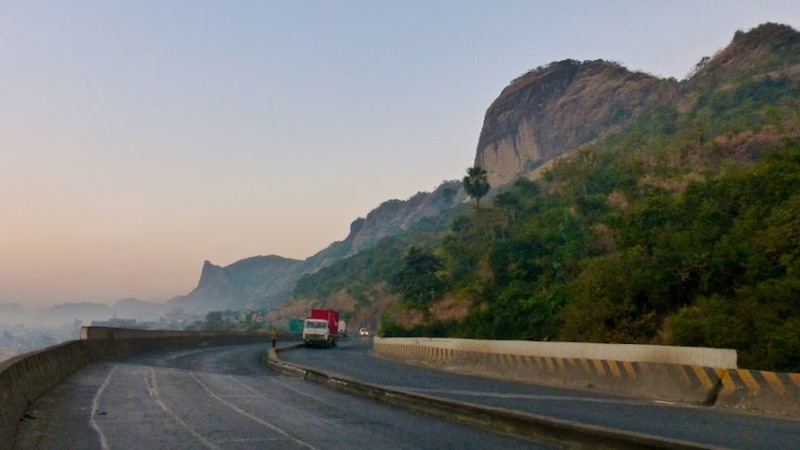 The Parsik Hills range start at the Mumbra to the north where it meets the bend in Ulhas river and extends south all the way to Belapur at the mouth of the Panvel creek. In the middle of the range, the Shilphata road cuts across from Mahape on the east to Ghansoli on the west. 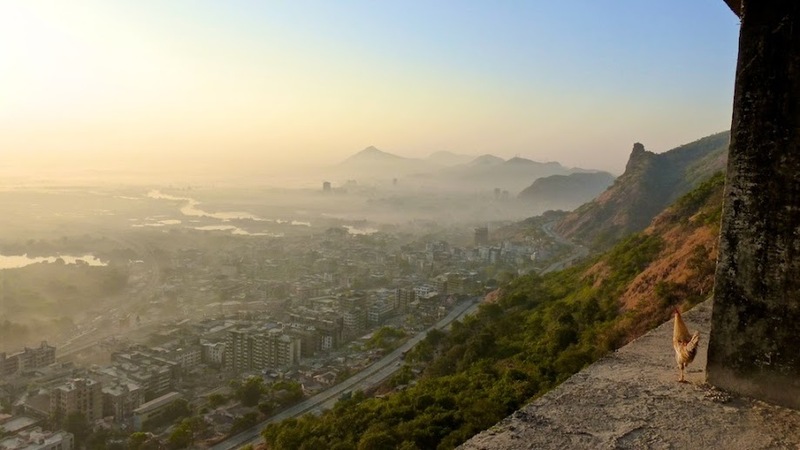 Based on the above description of the fort being “on the Ulhas river”, the fort would likely be located at the north in Mumbra. 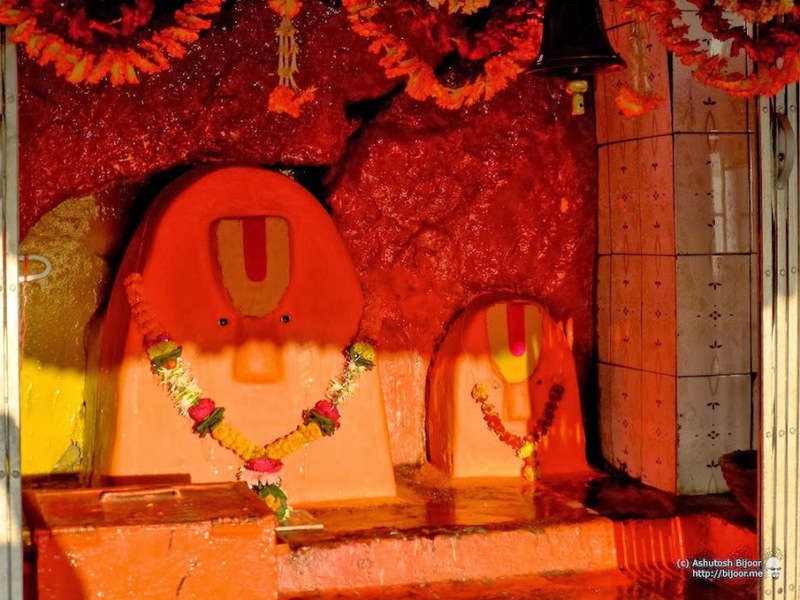 And guess what… there is an old temple located nearby called Mumbra Devi Temple! 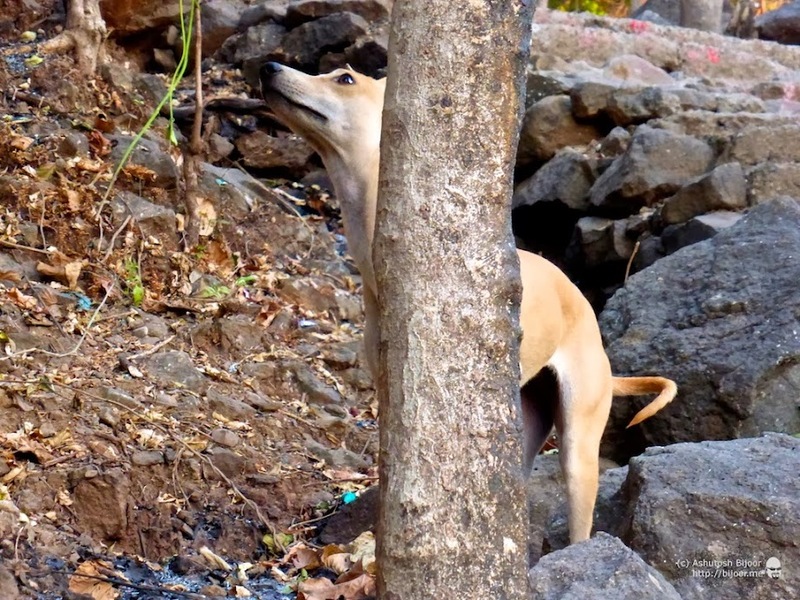 So maybe a good idea to investigate if there is any part of the fort there too! 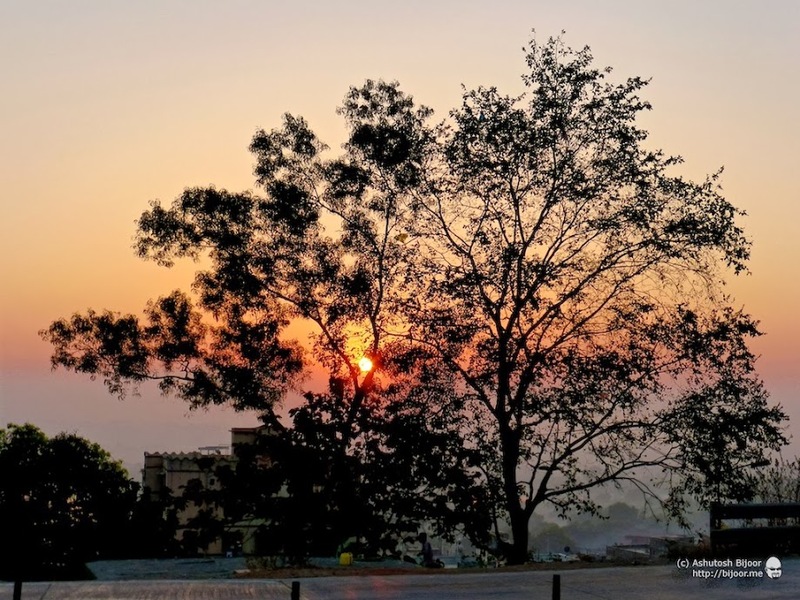 After admiring the colors of dawn over Ulhas river, I continued ahead along the highway (NH4) to look for Mumbra Devi Temple, and hopefully Parsik Fort. I could see the beginning of the Parsik Hills range ahead of me to the right, extending far down south. As I climbed towards the hills, I got this beautiful view of the bend in Ulhas river. This surely looks like a good place to build a fort! When I reached the hills, the sun had broken out from its slumber and started shining through the fog that hung over the marshy land around. 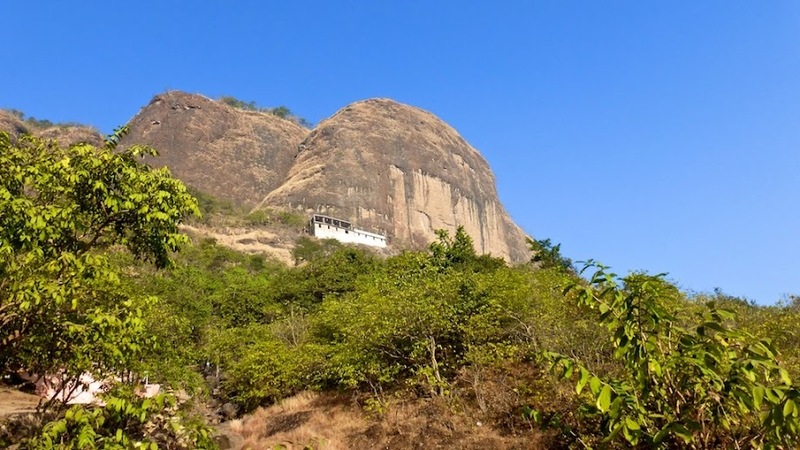 On my right, I could see this huge monolithic rock face, with the Mumbra Devi Temple located at its base. 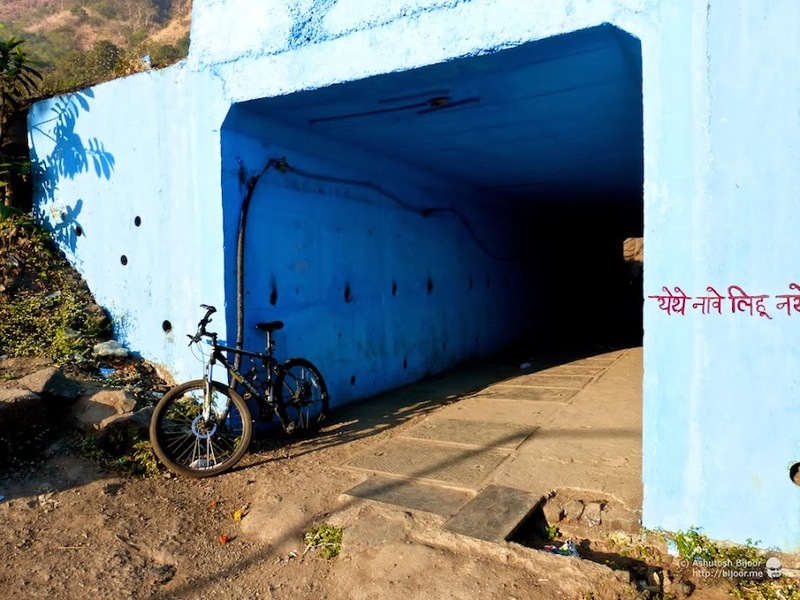 I parked my cycle near a tea stall next to the highway and requested him to keep a watch on it, while I set out to climb the hill to the temple. 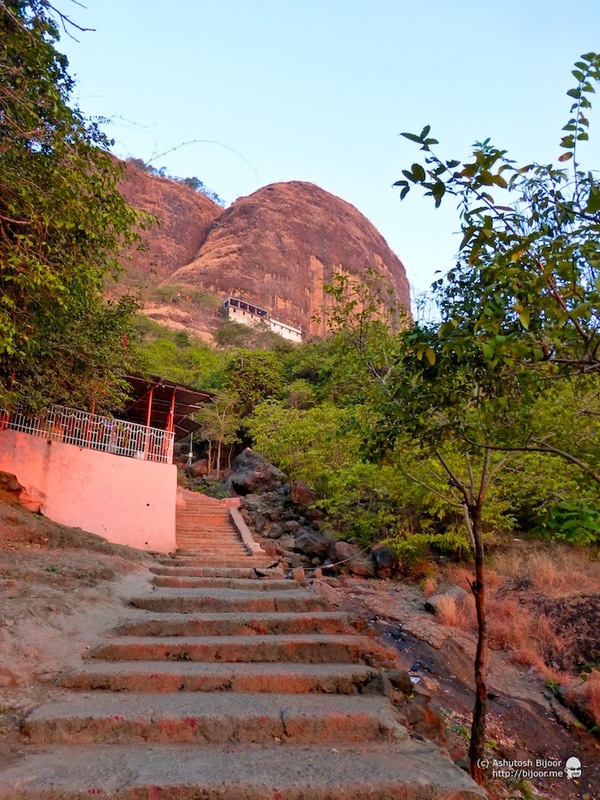 There are steps all the way to the temple, and it is a relatively easy climb. I was initially the only person around, but soon I could see some morning walkers beginning to climb behind me. When I reached the temple, the simple but immaculately maintained idols were bathed in the light of the rising sun. There are two small temples. This one on the right seems to be of Lord Shiva. 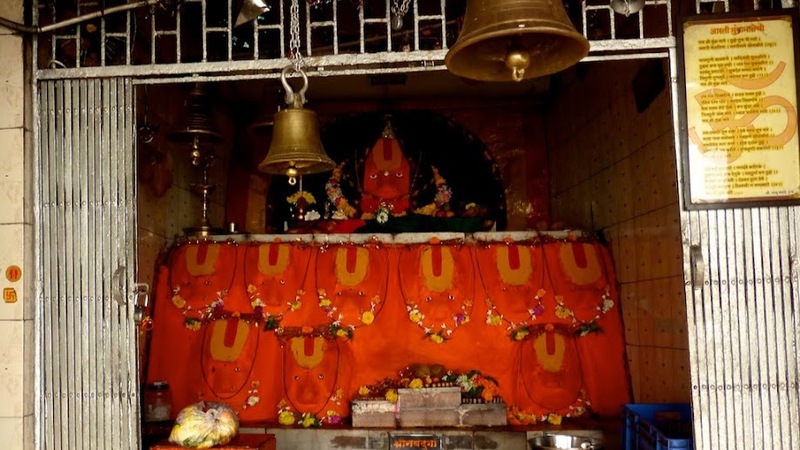 The main temple has this carefully decorated set of 10 faces of Mumbra Devi. The Godess is the prime deity of the Koli and Agri fishermen tribes who used to reside in Mumbra when it was still a small fishing village. 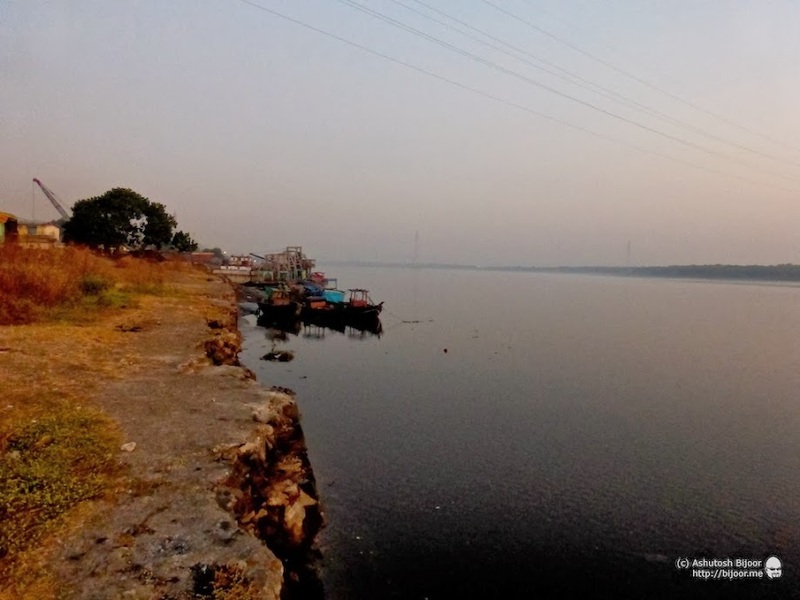 Due to it’s strategic location at the banks of the Ulhas river, it may have been fortified. I asked the temple priest if he knew about the fort in the hills above. 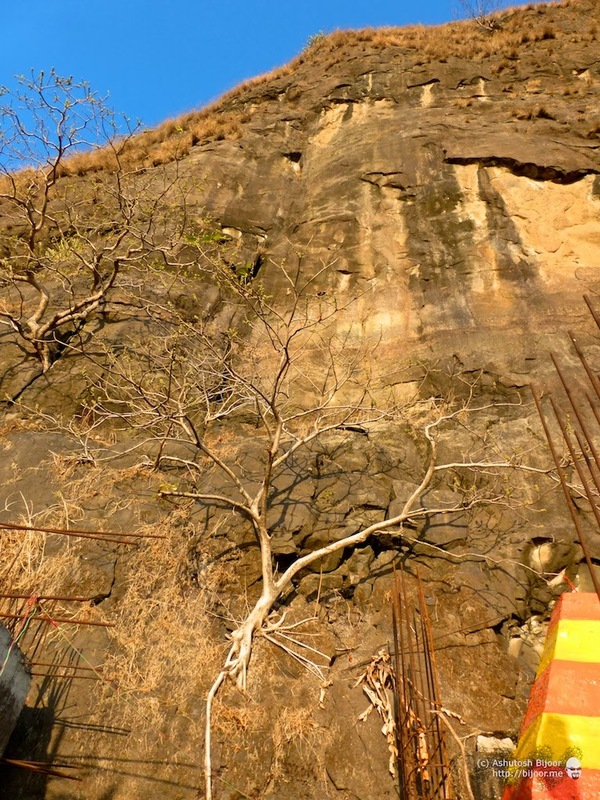 He said that it was quite a difficult climb up, and it was not possible to climb further without ropes… so my hopes of climbing up to the top to find the remnants of a fort were dashed! Looking up, I could see why the priest said that the top was inaccessible without ropes… it was a sheer rock wall all the way to the top! 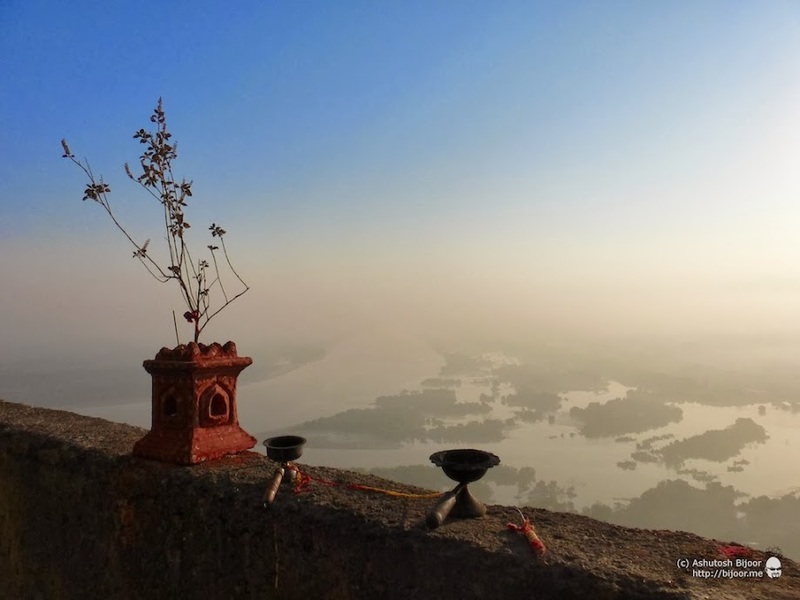 The view from the temple of the Parsik Hills, and the highway snaking its way alongside was gorgeous… this sure looked like a place that could serve as a perfect location to keep watch over the surrounding area, and hence perfect for a fort! 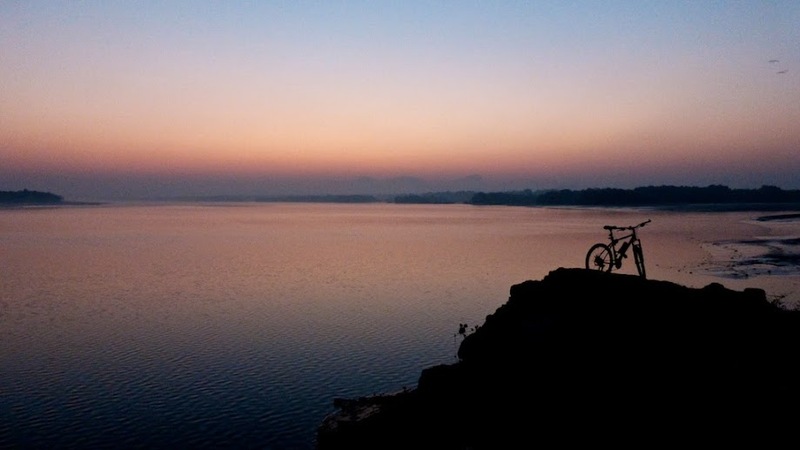 I climbed back down to where I had kept my cycle, and enjoyed some hot tea and wadas from the tea stall before heading back. I continued south along NH4, planning to cut across at Shilphata, and then head back via Airoli. 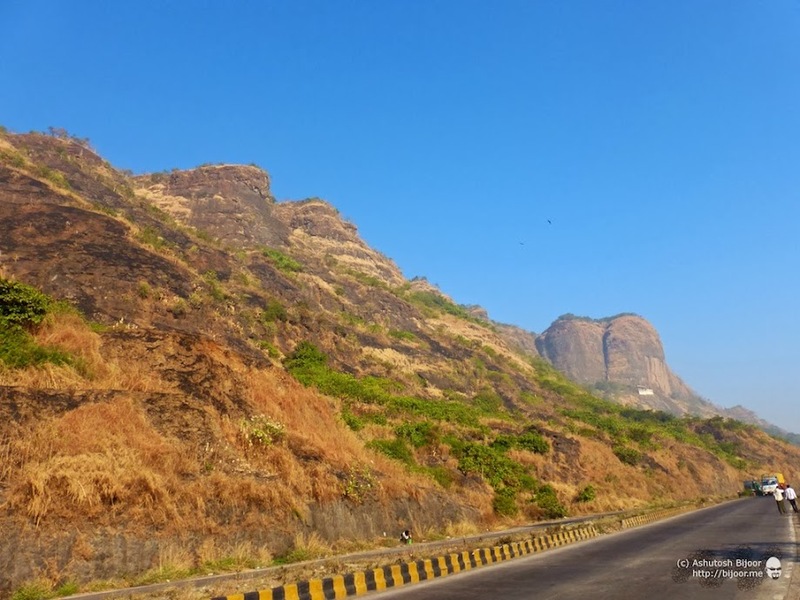 All along till Shilphata, the highway hugs the Parsik Hills, and I was sure there were more options for climbing the hills from somewhere…. but that’s for another adventure. 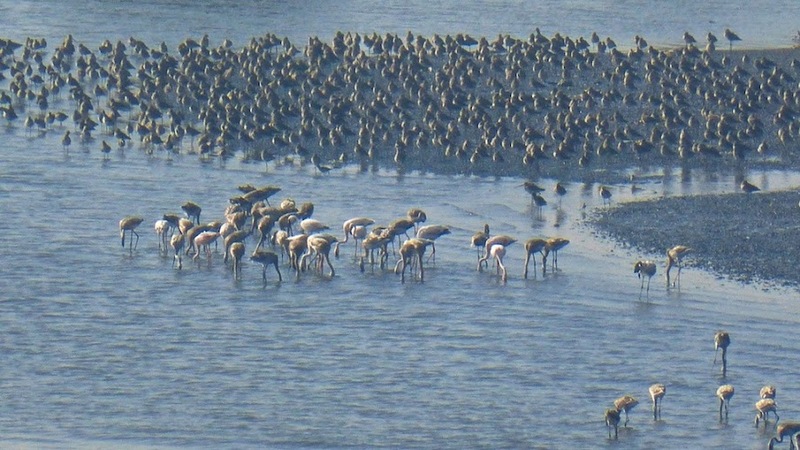 From Airoli bridge, I got a rewarding view of a bunch of flamingoes feeding on the mudflats below the bridge. 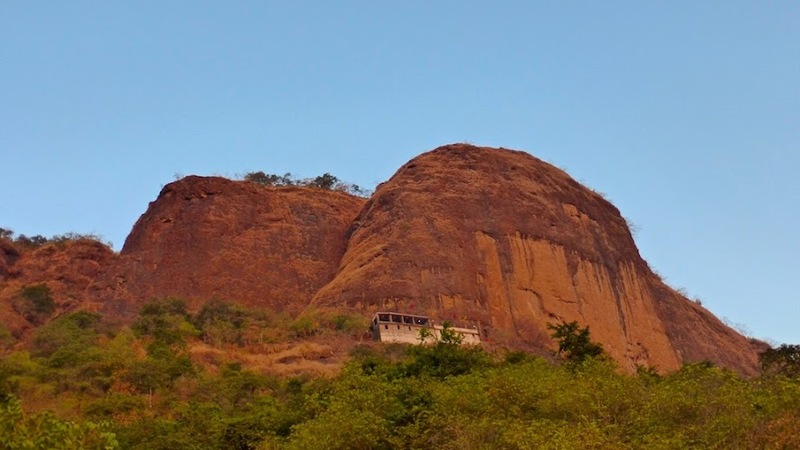 To be continued… hoping to find more concrete evidence of Parsik Fort next time!